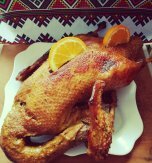 If you are still searching for a good recipe of delightfully juicy duck with crispy skin, then this one is just the thing. 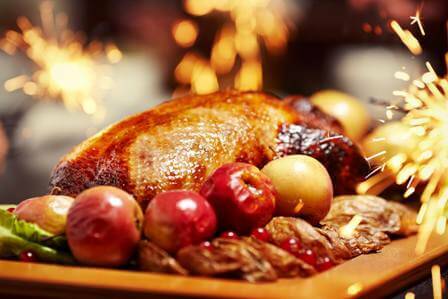 Following this recipe you’ll get a properly roasted and tender duck with soft apples. We’ll prepare a special homemade sauce for our duck. The sauce is a simple and delicate combination of honey, rosemary, coriander, salt, and pepper. We’ll stuff our duck with sweet-sour apples which will help infuse the duck meat with their delicate flavor. We will even bake some extra apples to serve them on the side with the duck. 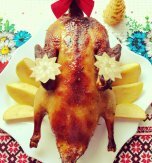 If you cook this duck it will definitely become a stunning centerpiece on any festive table. Peel garlic cloves and squeeze them. Add honey, black ground pepper, coriander, rosemary, salt, and vegetable oil. Mix everything carefully. Grease the duck with the prepared sauce carefully (inside and out). Set the duck aside for 30-60 minutes. Rinse apples, remove the cores and slice the apples. Stuff the duck with the apples. Secure the duck with the toothpicks. Serve the duck as soon as you bake it. 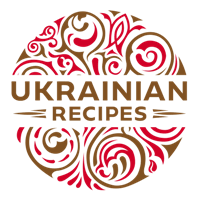 Do you have a favorite recipe of a roasted duck? If so, please let us know in the comments below or write us an e-mail.